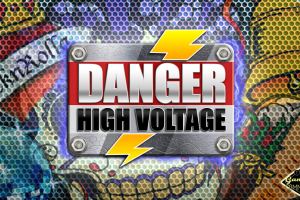 The Final Countdown is finally here, the game described by Big Time Gaming as Danger High Voltage 2 and based on the 1986 hit track that took the world by storm from Swedish rock band Europe . The slot boast’s 2 different bonus rounds the player can choose from and both guarantee to have you swinging your perm and tapping your feet! With that being said, we’re heading for Venus and still we stand tall….. The Final Countdown has a 6 reel by 4 row setup and pays on all 4096 ways exactly like Danger High Voltage. 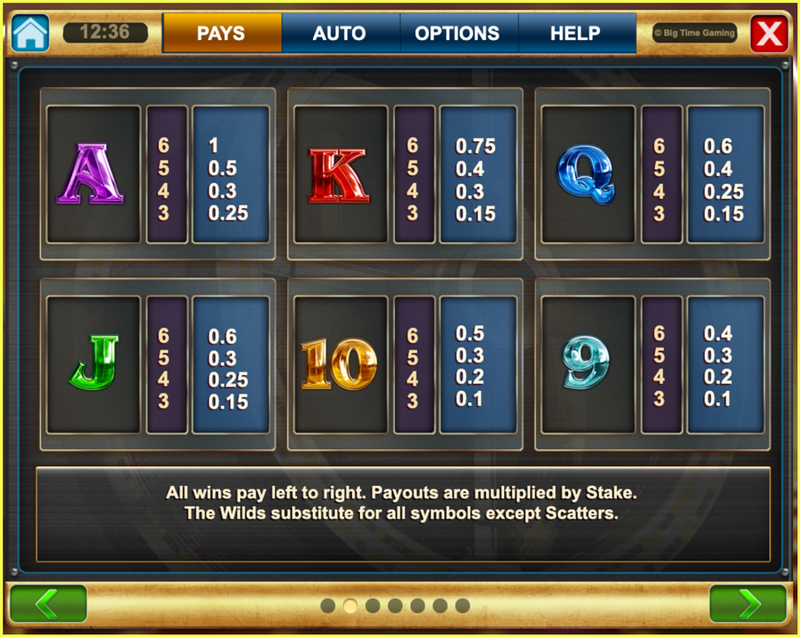 The slot has 2 main bonus rounds which you can pick between and also a feature that’s present in the base game called Reel Clone. 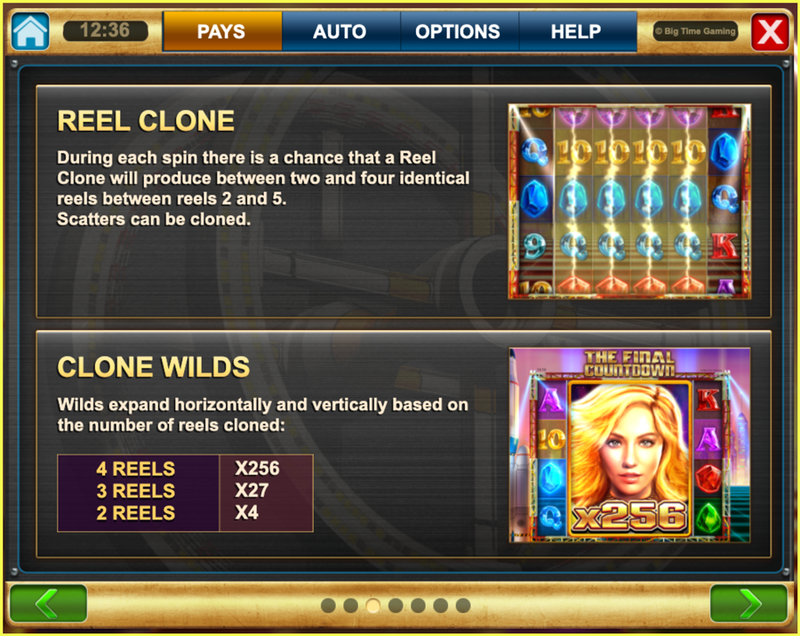 During each spin you have a chance of between 2 and 4 reels locking together like Twin Spin and this can only happen on the middle 4 reels, once the reels stop cloning and they come to a stop there’s also a chance you may have a cloned wild which can take between 4 spaces and 16 spaces, this translates to a multiplier of 4x up to 256x depending how big the wild is! 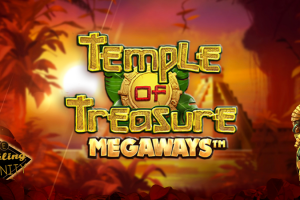 To win the main feature of the game you have to land at least 3 scatters on any reels, once you’ve done this you’ll get to choose between two bonuses, the first one we’ll look at is called The Countdown free spins. 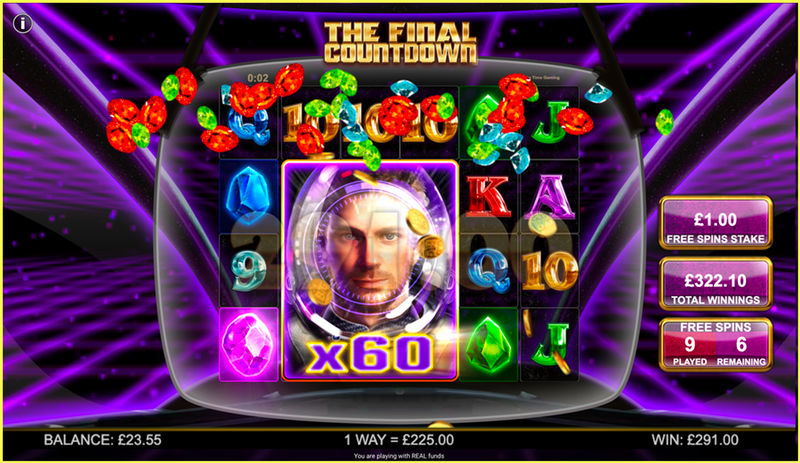 You start off with 8 free spins and a x4 roaming wild, there is then a countdown to the left of the slot which starts at 10. 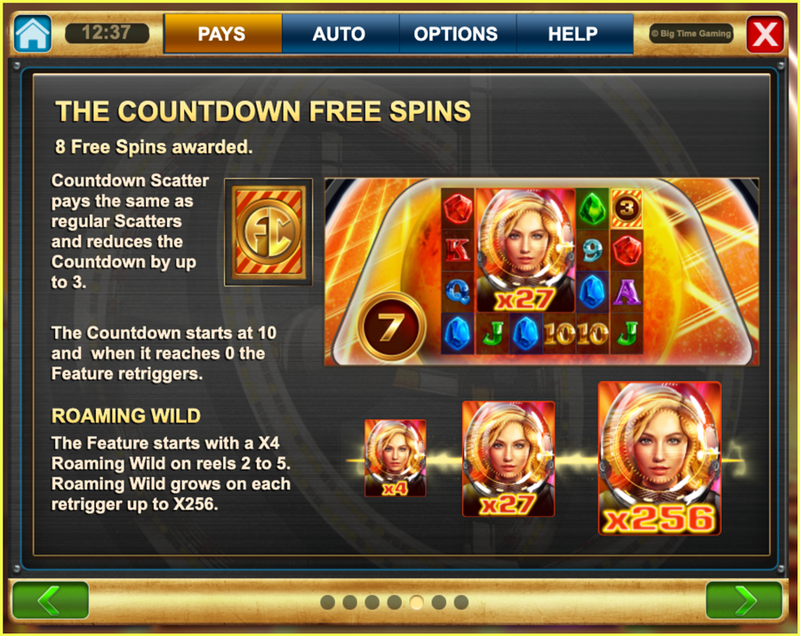 During the free spins you need to land scatter symbols which then reveal a number between 1 and 3 and are taken off the countdown, once the countdown reaches zero the game re-triggers 4 extra spins, the wild expands to x27 and the countdown resets to 10, do this one more time and you get 2 extra spins, the wild grows to x256 and the countdown and scatters are removed from the reels for the remainder of the game. 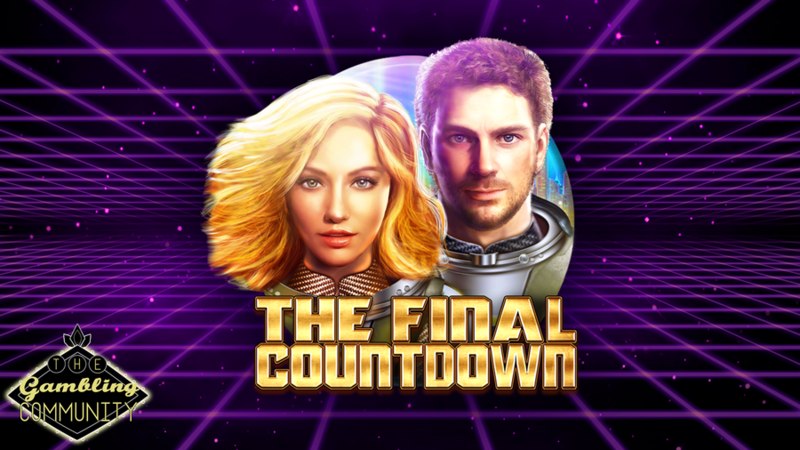 The second bonus on The Final Countdown is called Heading for Venus Free Spins. 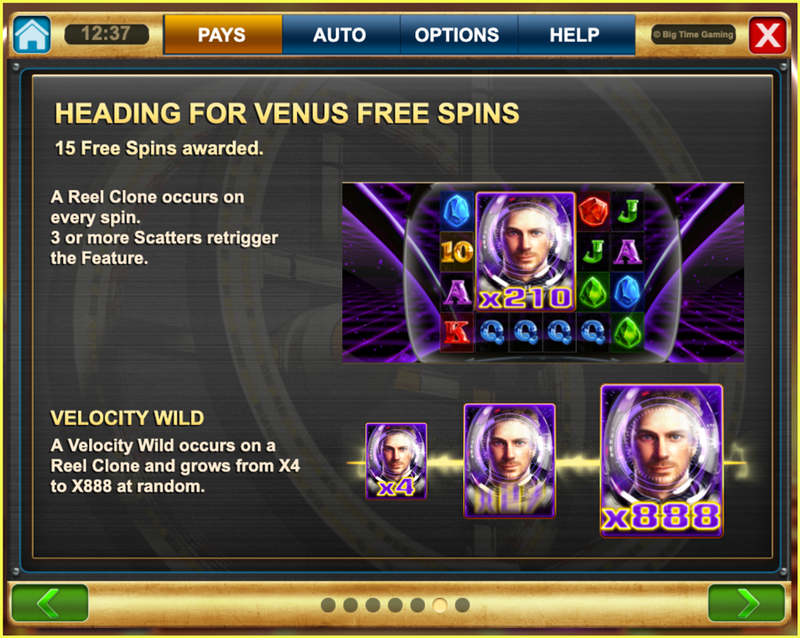 During this feature you get 15 free spins and this can also be re-triggered for landing 3 more scatters, you also have the chance of a reel clone happening every spin so this can make a re-trigger easier to realise. You will also get a velocity wild every spin and the more reels that have locked the larger the velocity wild can grow, reel clones of 2 reels will have a wild between x4 and x26, 3 reel clones will have a wild between x27 and x255 and the best of them all is the 4 reel clones where the wild will be at least x256 and can go up to an unbelievable x888! My first feature on The Final Countdown was won with real money and I opted for the Venus free spins, I had a 3 reel clone and the wild landed with a x60 wild and I ended up winning 400x my stake, now to think how large of a win that could of been with a x888 is mind boggling and enough to keep me very interested! The paytable in The Final Countdown is straight forward and to the point, potential wins are listed as multiples of your stake which is just how I like it. Starting with the lowest symbols we have the 9’s paying 0.4x your stake for a full way, the 10’s pay slightly more at 0.5x, the J’s and Q’s both pay 0.6x, the K’s pay 0.75x and the A’s pay 1x your stake. Moving on to the premium symbols we have the green gem paying 1.25x your stake, the blue gem pays 1.5x, the red gem pays 2.5x and in true BTG fashion the top purple gem pays a huge premium of 25x your stake per full way. 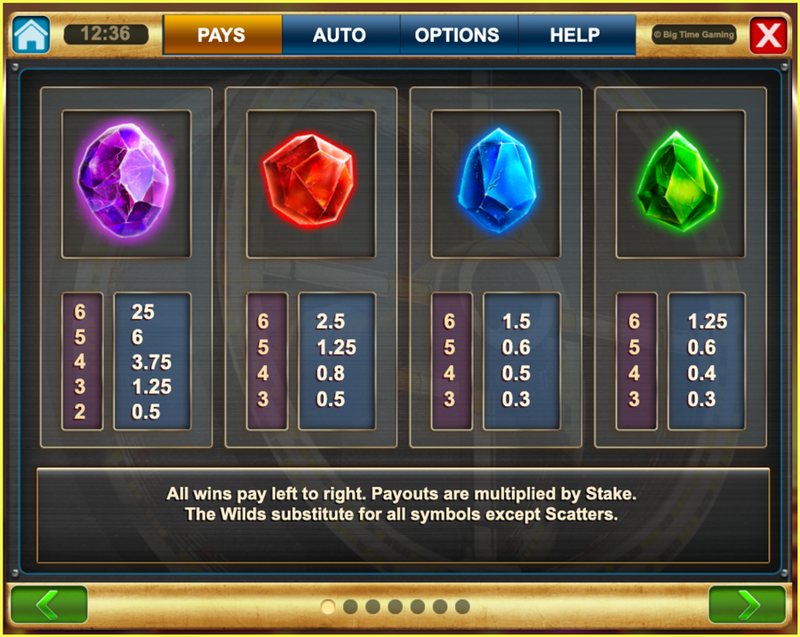 The top win on this game is apparently 36000x your stake and as an example of the potential you only have to take the top win of 25x for one way of purple gems, multiply this by 888x and you have a win on its own of 22,200x your stake! The Final countdown has an RTP between 96.56% and 96.65% depending what bonus you pick and the variance is safely in the super high category. The graphics are the usual high quality we expect from BTG but for me it’s the soundtrack that makes this game, it fits the theme perfectly and makes me want to carry on playing to hear it again. 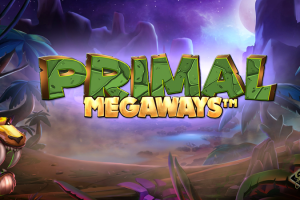 Overall I’m really happy with this release and especially after the flop that was WWTBAM it’s nice to see BTG back with a bang, I’d happily recommend this to my fellow slot players and if you fancy heading to Venus theres a link below to a TGC approved casino, as always thanks for reading.